Dinesh K Sarraf, 56, will take over from Sudhir Vasudeva in February end next year as the new chairman and managing director (CMD) of Oil and Natural Gas Corp (ONGC), the nation's most profitable energy company. dynamic, energetic oil man who is passionate in his work and pragmatic in taking quick decisions. 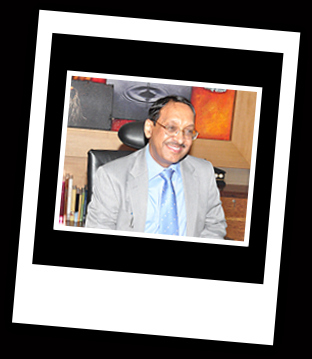 DK Sarraf has assumed the charge of managing director and CEO of ONGC Videsh in September, 2011. While at the helm of OVL, Sarraf pursued a vigorous policy of acquisition and brought new energy to the overseas arm of ONGC. During the past one year, OVL under him inked four deals worth over $11 billion and the latest being the acquisition of US energy giant Anadarko Petroleum Corp's 10% stake in a Mozambique gas field for $2.64 billion. This deal followed the $2.475-billion-deal announced in June to buy Videocon's 10 percent stake in the same field. Since inception, the OVL had invested $17 billion in 32 assets in 15 countries till 2011. An alumnus of Delhi University’s prestigious Shri Ram College of Commerce, Sarraf holds graduate and post graduate degree in commerce from the same University. He is serving as an associate member of the Institute of Cost and Works Accountants of India and the Institute of Company Secretaries of India. With a vast experience of almost three decades in the oil and gas industry, Sarraf has carved a niche for himself. He started his oil and gas career in Oil India Limited and worked there till 1991. At OIL, Sarraf contributed in various facets of E&P at oil field level. After joining ONGC in 1991, he showed his real power and handled various key assignments at corporate offices. He restructured ONGC from a statutory commission into a commercial corporation. He played a pivotal role in partial divestment of ONGC by the Government of India. It was his strong opinion that led to the petroleum pricing system in the country and the partial deregulation of prices. Earlier, Sarraf worked in ONGC Videsh Limited as director (finance) during February 2005-December 2007. It was the period when OVL made significant acquisitions in countries like Syria, Brazil, Colombia, Venezuela, Cuba, Egypt and Myanmar. This oil man’s negotiating power and capability to take quick decision came handy in concluding these deals that changed the very complexion of the prestigious sister concern of the ONGC. In December 2007, he joined ONGC as director (finance). Soon, his good works and leadership acumen were recognized and he was accordingly given the Best CFO Award in Oil & Gas sector in India by CNBC in 2009 and 2011. At the helm of ONGC, Sarraf's immediate task would be to raise the stagnant oil and gas output and aggressively look for more reserves especially at a time when Indian rupee’s value is dwindling against the US dollar and the oil import bill is growing up day by day.